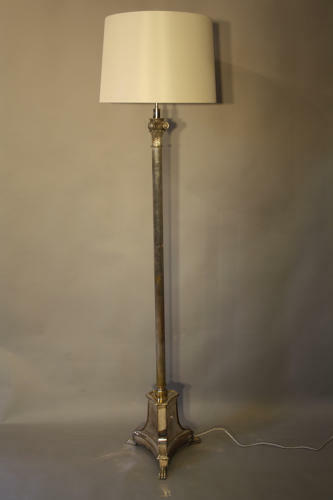 A silver plated ionic and reeded column floor lamp with tripod base with feet. Stamped Valenti. Spain c1950. Rewired and PAT tested for UK use.